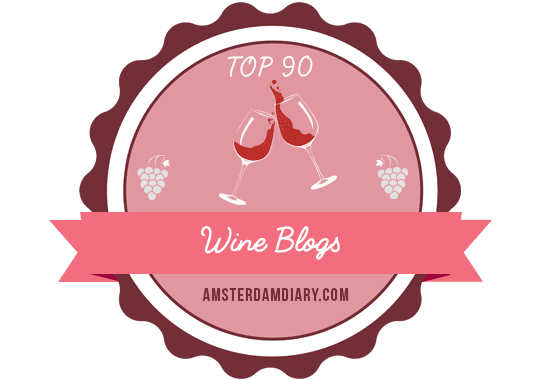 Those of you who have been following my writing for the past seven years know that I am relatively new to the wine industry and wine writing world. My first “wine moment” was in 2008. A couple of years later, I visited my first Virginia winery, and in 2011, I attended my first Wine Bloggers Conference held in Charlotteville, Virginia. It was at that conference that I truly discovered Virginia wine. In late 2013, #VAWineChat founder, Frank Morgan, invited me to participate in my first #VAWineChat. Here we are, five years and 50 episodes later. For this momentous occasion, Frank inteviewed Kirsty Harmon, winemaker at Blenheim Vineyards, Ampelographer Lucie Morton, winemaker Katie DeSouza of Casanel Vineyards and Winery, and Maya Hood White, Viticulturist and Assistant Winemaker at Early Mountain Vineyards. Those of us who participated tasted the following wines. Although I lived in Virginia for over two decades, regretfully, I never had the chance to visit the Eastern Shore. This steel-fermented chardonnay was an ideal choice for my inaugural wine from this area. The boldness and ripeness of the fruit was surprising. I did not expect the palate to have what I call warm climate characteristics. What a clean, crisp, tropical delight. A blend of cabernet franc, merlot, and touriga nacionale, this is a bone-dry rosé, a little weightier than some due to some neutral oak fermentation and aging. It is replete with red fruit flavors like strawberry and watermelon, but especially juicy, raspberry deliciousness, which popped on the nose and palate. This should be your go-to Virginia rosé this summer. Cabernet franc is one of my favorite varietal wines and especially when it hails from Virginia. I love the tart cherry, earthiness, and lower alcohol. What a delicate, lovely, and elegant wine. I am also a big fan of the screw cap closure. Only $22? Holy moly. I’ll take a case or three. Thank you, Blenheim, for the overdue, Virginia cabernet franc fix I was craving. Petit verdot is my other varietal wine sweetheart. I love it much more than cabernet sauvignon. (Don’t tell anyone here in Napa.) Flavors like blackberries, blueberries, and bitter chocolate dominate the palate. It is dark and delicious, but lower in alcohol than the West Coast versions, a veritable balance of depth and restraint. This is how petit verdot should be. Be still, my heart. Shortly after the event, I virtually sat down with Frank via email, who has become a great friend and supporter, to learn why he began #VAWineChat and what it really takes to pull off these tastings. Details about all 50 chats can be found at this link. 1. Congratulations on 50 episodes of #VAWineChat! Share with us the “#VAWineChat” history and story: when and how it began and why you created it. Thank you! I very much appreciate you (and everyone) who has participated and helped make Virginia Wine Chat successful. Although the first official Virginia Wine Chat episode was in early 2013, the idea for a monthly virtual tasting series focused on the wines and winemakers of Virginia came a couple years prior. In 2011, I helped the Virginia Wine Board Marketing Office organize several Twitter tastings to help raise awareness of local wines leading up to the Wine Bloggers Conference in Charlottesville in July of that year. Those three or four Twitter tastings in early 2011 were more popular than I expected. I received a lot of positive feedback about the wines and requests for similar tastings focusing on Virginian wines. I started Virginia Wine Chat in early 2013 as a way to connect notable Virginia winemakers with online wine influencers (a group many local winemakers would not have connected with otherwise). 2. What has inspired you to continue producing episodes? 3. Take us behind the scenes of #VAWineChat from start to finish, to give us an idea of the logistics involved in bringing together the producers, the wines, and the participants. Thankfully there’s no shortage of local winemakers interested in connecting with curious and engaged wine folks online via Virginia Wine Chat. Logistics of scheduling a monthly Virginia Wine Chat — oy! Selecting a date that fits in to the winemaker’s schedule and my work travel schedule may be the biggest challenge. Once a date is set, I reach out to a few regulars and a few new folks that have asked to participate. Confirming 10 — 12 online participants (and then re-re-reconfirming) on the given evening is time consuming. If the ‘chat includes a live winemaker interview (streamed live via the Va Wine Chat Ustream channel or via Twitch), I have to drive to the winery. Since most wineries are located about 2 ½ hours from my home, I usually have to arrange a place to stay if I don’t drive back that late evening. Staying in the Charlottesville area, or points west, on Sunday evening means a 4am wake up call on Monday morning to drive home and to work by 8am. 4. What makes #VAWineChat different from other virtual tastings? Virginia Wine Chat is the only virtual tasting series (that I know of) focused on the wines and winemakers of Virginia. It’s one of the few online virtual tastings that is focused on a small, emerging region. With 50 monthly episodes complete, I believe Virginia Wine Chat is one of the the longest continually running virtual tastings in the wine world. 5. Any idea how many Virginia wineries have participated since the inception? In total, we’ve had about 65 Virginia wineries and five cideries participate since 2013. Some months we feature three to five different wineries or cideries. 6. Do you measure the success or impact of the chats? If so, how? Quantitatively and/or qualitatively? Success is measured in several ways. The first measure is logistics success: did all participants receive the wines on time; did I make it to the winery on time; did the winemaker I’m interviewing show up on time; is the internet connection at the winery strong enough for video feed? Positive comments from participants about the wines and engagement from the winemaker following the chats are a measure of success, though hard to quantify. Articles written about the wines are another measure of success. Though the total number of tweets is not a measure of success, it is cool to see the #VaWineChat hashtag trending #1 or #2 on Twitter ahead of big events like football games or the latest political scandal. 7. Which chat(s) have been the most popular? In terms of overall number of tweets, online engagement, and in-person attendees, the 50th episode featuring the Women of Virginia Wine was by far the most popular. A close second was the November 2017 ‘chat featuring Diane Flynt of Foggy Ridge Cider (where she announced Foggy Ridge would no longer produce cider under the Foggy Ridge Label). The January 2017 ‘chat featuring Virginia cider was very popular as well. 8. Have any of the chats been controversial? Not really. Because the #VaWineChat hashtag usually trends on Twitter, we do get some interesting spam during the chats. Occasionally there is an attention-seeker in need of a fix but otherwise, no controversy. 9. Are the chats saved for later viewing? 10. What is the future of #VAWineChat? As Virginia Wine Chat has grown in popularity, I’ve received interest from wineries in other regions especially those in the eastern U.S. Beginning last month, I expanded Virginia Wine Chat to include other notable eastern regions — like Maryland, New York, Jersey, North Carolina, Pennsylvania. I’ve named this series East Coast Wine Chat (#ECWineChat). The eastern U.S. as a ‘region’ is exciting and overlooked by most wine media. I believe East Coast Wine Chat will bring (at least a little) much-needed attention to the many deserving winemakers growing world class wines the eastern U.S. I have some really cool East Coast Wine Chats planned — like a focused discussion of east coast Cabernet Franc, Pet-Nats, and ciders — that I hope will foster some collaboration between winemakers in the the eastern U.S. Thank you, Beth! Appreciate you participating in Va Wine Chats and this article. Cheers! Thank you so much for including me and for introducing me to some fantastic wines!